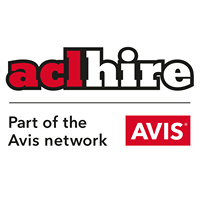 ACL Hire Ltd have a long outstanding record with many of our customers who over the years have required maintenance on their vehicles. The ACL Service Centre provides many services including tyres, exhausts, batteries, diagnostics, mots, inspections and much more. "Satisfied with service provided. Can't comment on repairs as no repairs done." Book your car service, repair or MOT at Acl Service Centre. It’s easier than you think to book your car in at Acl Service Centre online. All it takes is a few clicks right here at bookmygarage.com. Why not book the service or repairs you need today? Acl Service Centre is one of the very best garages in Bathgate, providing MOT’s, car services and repairs to the whole of West Lothian. This independent garage works on all major car brands with access to the parts you need to get your car back on the road. So, why book your car service repair or MOT at bookmygarage.com? Because it’s the fastest and simplest way to book a garage in West Lothian or anywhere else in the UK. Thanks to bookmygarage.com, you can make a booking from the comfort of your own home at a desktop computer, a tablet or smartphone. Perhaps most importantly, you can get all of the information you need before you enter your details. You’ll find opening times, directions and independent feedback from previous Acl Service Centre customers. There’s no mechanical mumbo-jumbo or hard sell; just honest advice from other motorists like you. Like what you see? Your booking is just a few clicks away. Give us your car registration then choose service/MOT or car repairs. You can book right here at bookmygarage.com and you don’t pay us a penny. You only pay when the work is done. It really is as simple as that. Go from 0 to ‘good-as-new’ in seconds with Acl Service Centre and bookmygarage.com.